If you have a new innovation and are looking to complement traditional equity and commercial finance, then grant funding may be a prudent option. There are many grant funding schemes open at the moment, with deadlines coming up in November, December and January, many of which are sector-agnostic, with others focusing on the sectors of energy, and IT/digital. 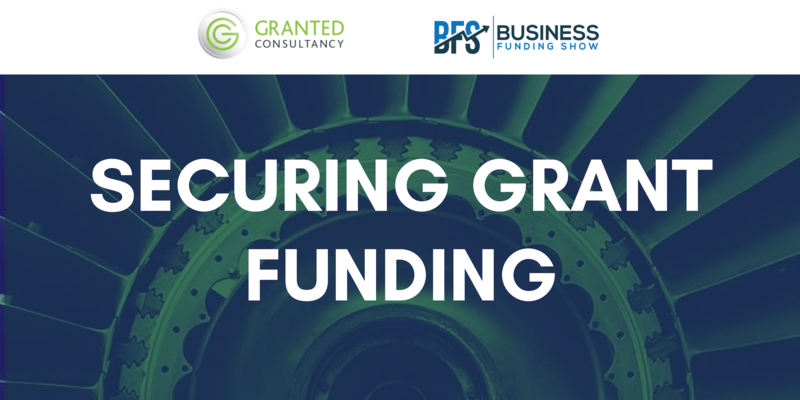 To start off, grant funding is non-dilutive (doesn’t require a share of your company), which can aid in the acceleration of the time to market for a new product/process/service, enabling you to out-innovate, out-perform and out-compete the competition. Research and development grants are available to small to medium sized enterprises (SMEs), as well as large companies, who have cutting-edge or disruptive ideas aligned to commercial ambition. Intervention rates (the amount the funder will provide) can be very high – typically 50-70% of project costs – and project sizes can range from £25k to over £2m. Applying for grant funding can facilitate collaboration with unique industry, research and academic partners to help deliver world-leading innovation projects. These collaborations open-up access to new technologies, techniques and expertise – further enhancing outcomes for your business. Not only does grant funding give you the investment your business requires, it is great PR that validates your innovation and provides external endorsement, which in turn can be attractive to investors and lenders. As with any form of finance raising, grant funding must be approached with a high level of professionalism and diligence. You will be pitching your company to the funders who have a requirement to ensure public funds are properly placed, however you will also find that the risk appetite of grant funders can match that of aspirational disruptive innovations more closely than traditional finance options. You need to ensure an alignment of the fund with your project and your long-term strategy. Misaligned grant applications, even if successful, can take your organisation in a direction that impacts your ultimate goals. Be aware of anyone who suggests your project is a dead-cert, projects that have strong alignment stand a good chance but there is never a dead-cert in grant funding! Ensure you start the grant funding journey with full sight of timescales, confirming that failure to achieve the funding on the first ask will not detrimentally impact your company’s overall health and survival, but also do not be dissuaded by failure, you would not approach a single angel investor, receive a no and then give up – persistence pays off. The best mindset to adopt is akin to the due diligence and preparation required for equity investment raises. Ensure you understand your marketplace and users; ensure your team and collaborators can catalyse the technical development and commercialisation of your solution; ensure your forecasts are robust and realistic; have a plan in place to both protect and exploit IP generated; make sure you have done the “hard” calculations i.e. what is the actual benefit to users and the marketplace; be ambitious in your goals; and, above all get 2nd, 3rdand even 4thhonest opinions on your application before submission. Although there are significant benefits to grant funding, the process of applying can be confusing, time-consuming and strenuous. Using the creative and technical skills of a professional grant writing consultancy will assist your business in translating technologies and business models into a language and format that funders require; ultimately increasing your chance of success, but be careful, ensure that any support professionals can demonstrate evidence of previous success. Grant funding is not suitable for everyone, but for those who fit project criteria and are aligned in ambition and expertise the opportunities are significant, providing the boost your organisation needs and helping you realise your ambitions. If you would like to find out more about the grant application process, as well as further details of the abovementioned schemes and how to apply, join us at 'Boo! Don't be Scared of Grant Funding Applications! ', which will take place at 6pm on the 31st of October 2018 at WeWork Chancery Lane. Click here for more info and to secure tickets.